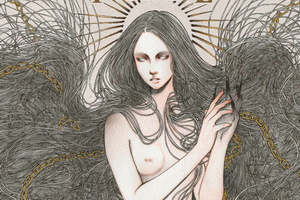 While some may argue that the ‘golden age’ of melodic death metal may have come and gone, there’s still plenty of opportunity for bands to try their hand at writing that next big album. If all was right with the world, Texas’ Fall would be the beneficiaries of much praise for the work of their first full-length album, The Insatiable Weakness. 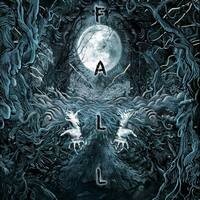 Utilizing aspects of the more aggressive side of the genre, with a balance of melody and melancholy, Fall provides what many have unsuccessfully attempted: a fresh take on the melodic death metal formula. An impressive debut that opens the door for even more future potential, we were able to grab guitarist/frontman Jessie Santos to share more of the band’s beginnings, Soilwork connections, crowdfunding experience, and more. Dead Rhetoric: What do you feel is the mission statement of Fall? Jessie Santos: It’s something I never gave too much thought into. I started Fall because I wanted to make music, I wanted to be heard and known – it didn’t matter to who or how many, to serve a purpose for those who find healing in music. All the music I listen to and love has been somewhat cathartic to me no matter what and I find something in those artists and songs relatable on a personal level. That’s something I hope Fall to be for someone, whoever they may be. That’s our reason for existence. Dead Rhetoric: I read that name Fall came from the influence of the under-rated act Disillusion. What are some other influences that have helped to create Fall? Santos: It was an array of things at that time when thinking of a band name. Disillusion just happened to be an added main ingredient to the thought process. I wanted a simple name, I find things minimal in appearance – like a word as simple as ‘fall’ – can have a much bigger meaning when you try to define it or put it in a specific category. I love the season, its beauty in all aspects – a sign that change is coming – things are coming to an end to rebirth anew. I find a deep interest in dystopian imagery and stories portraying a failing world and the people affected in those stories. Those are just a couple things that get the creative juices flowing for me and in return, birthed the idea of naming my band Fall. Dead Rhetoric: Your 2012 EP had guest vocals from Bjorn Strid and a production job from Jon Howard. How did you go about getting them involved with the project? Santos: The power of Facebook. I had Jon added as a friend a month or two before he had posted he we pull be available to have bands come in to record with him. In that same post he had mentioned that bands had the chance to work with Bjorn. I messaged him immediately about booking a week at his studio to record 3 songs and 1 of those songs to feature Bjorn. Later that year were (me and Dave) in Canada sitting in the studio with a couple of musicians I’ve looked up to since I was in high school. It was an unreal experience for me and I’ll never forget it. Dead Rhetoric: That same EP also contains three tracks that appear once more on The Insatiable Weakness (along with a few other old tracks). How did you develop those songs over the past few years? Santos: I wasn’t happy with the outcome of those older versions of the songs and I felt they deserved to be revisited. These songs got a full makeover, making them suitable for an album release and now these songs can be put to rest and be listened to as they were intended to be. Dead Rhetoric: How do you think, as a band, you have changed since your early years? Santos: It was a learning process from day 1 of forming the band. I was new to it and it was mine to form and build upon. I’ve made bad and good decisions that affected the evolution of the band, but it’s growth nonetheless. I certainly have a more realistic and professional approach at what I see and want in our live show, studio work and how we present ourselves as a band now that I’ve been doing music for quite some time and I’d like to think that reflects out to those who check us out. I still have so much more to gain and learn from this lifestyle. Dead Rhetoric: There was a crowdfunding effort for The Insatiable Weakness. How did it go overall, and is there anything you’d try differently if you did another one? Santos: Yes, we reached about half of our goal, so that made funding the album a little more difficult on the financial side of things. We still made our dues and sent out what we promised those kind people who donated to our cause. The only thing that I’d do differently is be more ambitious with promotion of the fundraiser and raising much more awareness to it. Dead Rhetoric: Dirk Verbeuren did session drums for the album. Have you since acquired a permanent drummer or are you still in that process? Santos: We currently have a live session drummer, Lorenzo Perez. He lives out of state, so that makes things tricky to plan around. We’re still in the process of finding a permanent member. Santos: It could be a guitar riff that forms into another idea that I had a while back or a vocal melody that comes to mind even a drum beat. I’d even start a song with just lyrics and build from there. Follow your gut I’d say and don’t settle for anything less than what would make you happy and proud to call your own. Dead Rhetoric: Do you feel there is a song that best describes Fall? Santos: Each song on the album showcases their own description of Fall. I don’t think just one would suffice and it would be difficult to pin-point to a single song to describe for the entire band and album. Dead Rhetoric: Does Fall do much in the live arena? If not, is it something you’d like to see yourselves doing more? Santos: Not nearly as much as I’d like to. 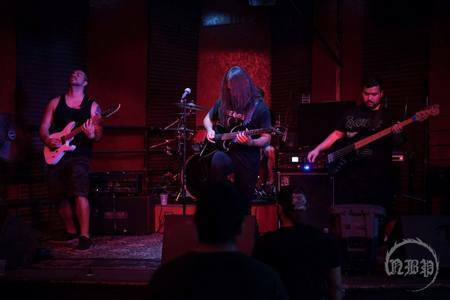 With our current drummer’s living situation and working around the hectic touring schedule for Shattered Sun – regrettably, the live spectrum for Fall is minimal. This year seems hopeful though in terms of that, last year was all scattered with scheduling and I don’t think it’ll be that way this year. Keeping my fingers crossed. Dead Rhetoric: Is Fall a full-time band or is it more of a side project? I know you are also in Shattered Sun. Santos: I consider it full-time as well as my passion project. I’ve invested a lot of myself into this band and I’ve built it from the ground up – it’s basically my baby. Fall will always have a place in my heart and I intend to have our music known on a broad scale without a doubt. Dead Rhetoric: What does 2016 hold for Fall? Santos: More gigging, that’s for sure. Release the album. Promote the hell out of it. Start building a larger fanbase with this new material as it is the truest representation of Fall to date.